American storage vendor ioSafe has launched a storage enclosure that can protect the drives against fires, floods and other natural disasters. The ioSafe Server 5 can withstand 30 minutes of direct flame at 1550°F (843°C) and spend three days in seawater at a depth of 10 feet, without any damage to the storage hardware. 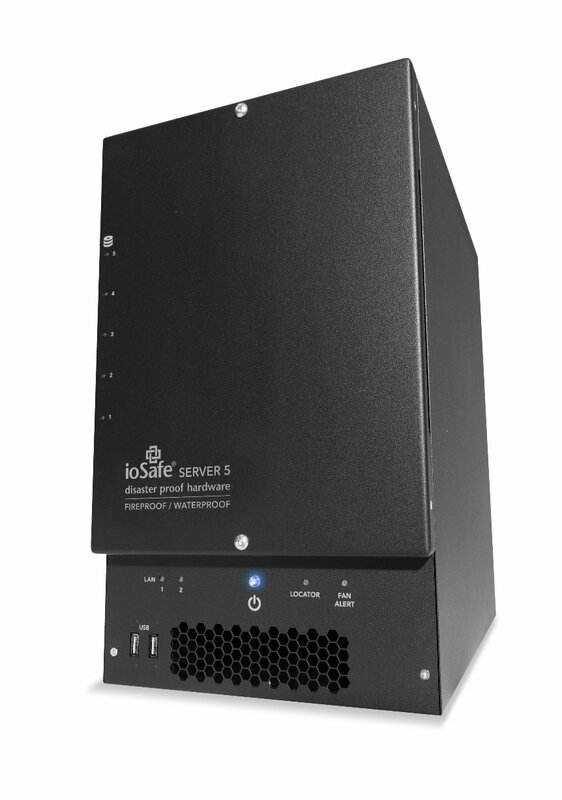 ioSafe calls it the only server on the market able to physically protect data from the moment it is created, irrespective of Internet connection status. ioSafe specializes in resilient storage products. 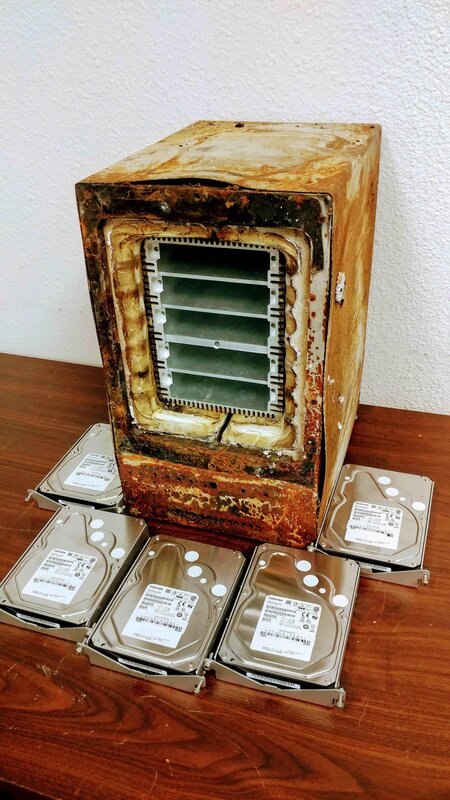 The company is headquartered in Auburn, California, and has been building fireproof and waterproof drive enclosures since 2004.
ioSafe Server 5 offers between 5TB and 40Tb of storage capacity, featuring hot-swappable drives and dual 10 Gigabit Ethernet ports for failover. It runs on either Windows Server 2012 or Linux and is equipped with an Intel Xeon processor and up to 128GB of DDR4 RAM. Server 5 can replicate data to the ioSafe Cloud, a third-party cloud storage service or to be backed up at a secondary data center location. The image on the right shows an ioSafe NAS product recently covered from a business in New Jersey that was completely destroyed in a fire. According to the company, the drives inside remained ‘in perfect condition’. “Server 5 was designed to help organizations faced with increasing demands and limited resources to better protect their data and can be used to build a complete disaster recovery and business continuity solution that ensures data is one-hundred percent protected and can be restored anywhere, anytime with or without an Internet connection,” said Robb Moore, ioSafe CEO.